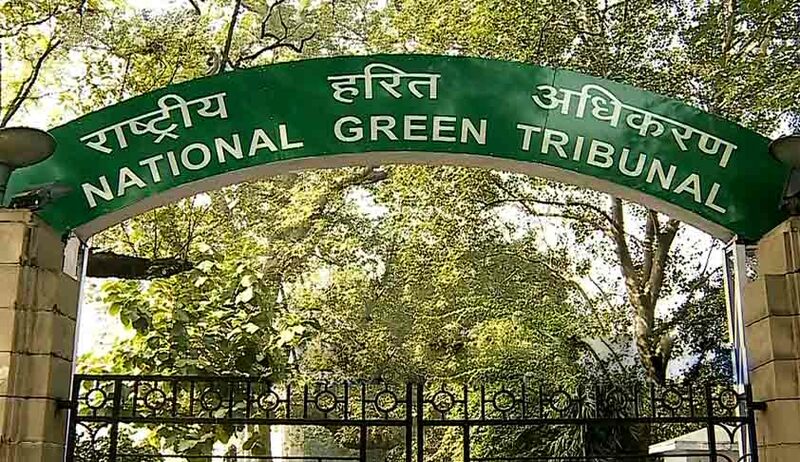 After hearing a plea challenging the constitution of the Uttarakhand State Pollution Control Board, a five-member bench of the National Green Tribunal (NGT) on Saturday issued guidelines in respect of eligibility for appointment of Chairman, Member Secretary and members of State Pollution Control Boards. The bench comprising NGT Chairperson Justice Swatanter Kumar, Justice M. Sasidharan Nambiar, Justice Raghuvendra S. Rathore, Prof. A.R. Yousuf and Bikram Singh Sajwan was hearing an application challenging the constitution of Uttarakhand State Pollution Control Board mainly on the ground that persons who do not qualify in terms of Section 4 of the Water (Prevention and Control) of Pollution Act, 1974, and Section 5 of the Air (Prevention and Control) of Pollution Act, 1981, were being appointed as Chairman/Member Secretary of the Board. The applicant had first approached the High Court of Uttarakhand and the court had directed the applicant to approach the NGT in view of the direction of the Supreme Court. The case of the applicant is that persons manning important posts of the State Pollution Control Board were not eligible for the same, as they neither have any special knowledge nor practical experience in the field of environment protection and pollution control. But the bench avoided going into the merit and demerit of the appointments individually. It left the matter in the domain of the state governments to examine the appointment of Chairman and Member Secretary of the respective Boards in light of the statutory provisions and this judgement and then come to a conclusion as to where such appointments are liable to be set aside in accordance with law. “If the competent authority in the state government comes to that conclusion, then it must cancel/ withdraw the appointment of Chairman and/or Member Secretary, as the case may be, and simultaneously take steps for appointment of Chairman/ Member Secretary who are eligible to be appointed to these posts in accordance with the provision of the Act, criteria and guidelines stated in this judgement. Their services should be discontinued and appropriate notification, including for new appointments, be issued in accordance with the provisions of the respective Acts by the respective governments within three months from the date of pronouncement of this judgement,” the NGT said. The state governments/ union territories shall constitute the Pollution Control Boards strictly in accordance to Section 4 of the Water Act and Section 5 of the Air Act, and the eligibility criteria as aforesaid, for appointment of Chairman and/or Member Secretary of the Board. The state government is to ensure that the persons manning the posts of Chairman and/or Member Secretary of State Pollution Control Board are competent and eligible with requisite knowledge or practical experience in the field of environment protection and pollution control, with experience of management. The appointment as a, Chairman or Member Secretary, should be of persons who are having special knowledge or practical experience or qualification in environment protection studies and not by virtue of their designation in service of the State Government like Chief Secretary, Principal Secretary, Environment Secretary or even Politician like former Speaker, Minister, M.L.A, all literary persons and non technical persons. The State Government are to notify the rules under Water and Air Act expeditiously specifying the qualifications and experiences required for the post of Chairman/ Member Secretary. The post of Chairman/ Member Secretary should be advertised and thrown open for all candidates irrespective of the fact whether they are in the Government, Academia or in private sector, so as to attract the best talent to man the said post. The nominated Chairman/Member Secretary should have a fixed term of office which should not be extended for more than one term. Such persons should not hold office in the Board in accordance to their tenure in State Government. Once a person having requisite eligibility is appointed as Chairman/Member Secretary in the State Pollution Control Board, he is to continue for full tenure and the same is not to be curtailed by removal or by repatriated before its completion, unless there are charges of misconduct or cogent reasons which are to be placed on record. Completion of tenure as Chairman/ Member Secretary of the Board, not only gives security of service to the persons who are appointed but it is essential for efficiency of work and smooth functioning of the Board. A tenure unaffected by political and bureaucratic interference would be extremely important for the officials to function fearlessly and in accordance to the mandate of the legislation as given under relevant Environmental Protection Laws like Water Act, Air Act etc. The State Government is to develop the infrastructure in the State Board by professional and technical officers who are efficient and competent to cope-up with increase of industries and development centres. They should ensure adequate manpower for the purpose of execution of provision of the relevant law. The State Government should have latest equipped laboratories for analysis of samples of trade effluents etc. The State Government is to ensure strict compliance of Section 8 of Water Act and Section 10 of the Air Act so that a meeting of the State Pollution Control Boards are held regularly and in accordance with law. The State Governments and all concerned Authorities shall act in accordance with the directions contained in this judgement particularly paragraph 148 of the Judgment. The State Government and all competent Authorities shall proceed to make appointment/ nomination of the Members of the Board as per categorisation and subject to the limitations of number provided under Section 4 and 5 of the Act of 1974 and 1981 respectively as expeditiously as possible, in any case not later than three months from the date of pronouncement of this Judgment.